Gold / Oil ratio refers to how much crude oil can be bought with one ounce of Gold. With gold at $1000 per ounce and oil at $66 per barrel, the Gold/Oil ratio is at 15.15. The average for the last 40 years has been around 15. – Selling opportunities when the gold-oil ratio turns down at/above 20 barrels/ounce. gold crude oil is likely to continue. 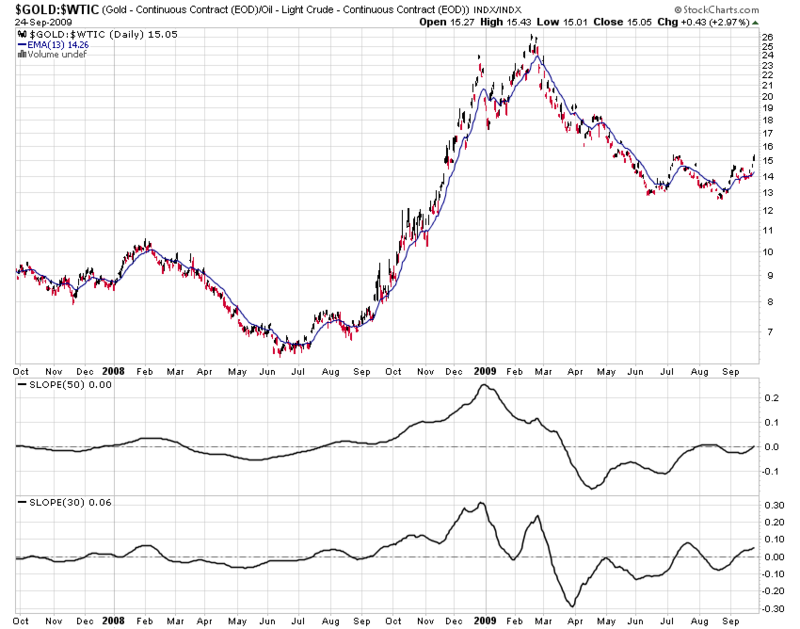 So what does a rising Gold-Crude oil ratio means?